Vaping has taken the tobacco world by storm. Now it’s starting to do the same for cannabis. As vaping marijuana continues to grow in popularity, so has the versatility of vape pens. Now, vapers can have their cake and eat it too with 3-in-1 vape pens. 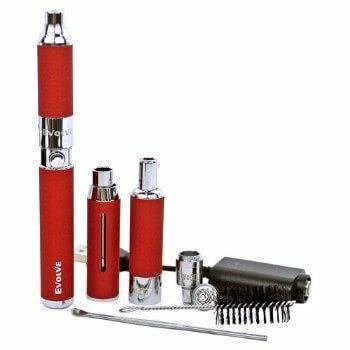 3-in-1 vape pens cover the needs of those who like to smoke concentrates, shatter, and dry herbs. 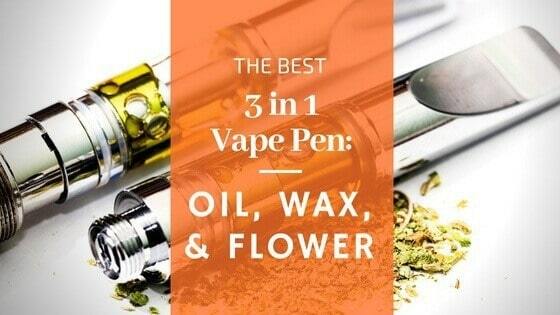 Keep reading to take a look at the best 3 in 1 vape pen that money can buy! The first thing you will notice about the Cloud Pen 3.0 is how sleek and chic the pen is. Its exterior has a no-slip grip that fits perfectly in the palm of your hand. There is very little to worry about button-wise. The only buttons on the apparatus are the power switch, so no need to fumble through settings. Also, the Cloud Pen 3.0 comes in a variety of colors that range from discrete to screaming. Besides the spectrum of colors, the Cloud Pen 3.0 also runs the gamut for atomizers. For one, you have the cloud atomizer, which you can use for either e-liquids and concentrates. Then you have the dual coil atomizer, which combusts dabs within 5 seconds. On top of that, the kit provides you with a c-tensil to place your dab safely onto the coils. Lastly, the Cloud Pen 3.0 Kit comes equipped with a Medi A2.0T atomizer perfect for herbs. Switching between the different atomizers is easy to do and quick for anyone on-the-go. One more feature that stands out for the Cloud Pen 3.0 is its battery life. Not only does it last for a half day, but a red light will turn on indicating when there is only 10% battery life left. The Kind Pen is a fun one—it sort of looks like a kazoo, right? It’s just used a tad differently than the musical instrument. This vape pen is operated with a five click system. I like when pens have that feature because it’s easy to click on your vape by accident when you’re walking around with a pen in your pocket or purse. The five click system saves your pen's battery life. Not to mention if you have a concentrate already setup to the pen, then having this safety feature stops from wasting oil as well. This 3-in-1 pen is easy to use, even for a beginner. All of the attachments that accompany the piece are clearly labeled. So you don’t have to worry about accidentally putting herb in the oil adapter. If you are using the herb attachment, don’t overpack it. It’s not a very big space. Packing more herb doesn’t get you any higher. It just burns more herb. Other perks of the Kind Pen Vaporizer Kit is that it comes with a litany of attachments. There’s a dabber, a micro USB charger, a cleaning tool, and the little icing on the cake...a silicone jar. This is perfect for stashing some backup herb, oils, or both. The Yocan Evolve comes with two main attachments. One is the Evolve-C atomizer. This atomizer has two attachments that are unique to this product, which makes smoking wax and oil almost seamless. These attachments are a quartz rod atomizer for dabs and a refillable oil tank for concentrates. Being quartz (or titanium) rod atomizer is key to a fresh tasting vape. That’s because these elements are not chemically reactive. Therefore, when put under pressure (heat), they don’t alter the oil’s chemical makeup. This ensures that not only the flavor is robust, but that the cannabinoids maintain their medicinal qualities. The second atomizer to come with this 3-in-1 kit is an Evolve-D. Inside the Evolve D are flat coils. 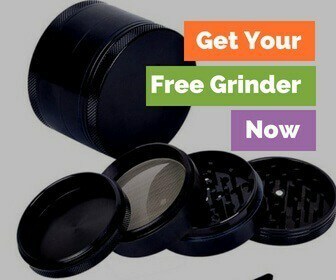 This feature ensures that you can spread out the herb more. Not only does this flat coil feature improve how even of a burn the flower gets, but it also intensifies the flavors inhaled by the smoker. That’s because the plant’s terpenes are not being compacted down on top of one another and being burned off at once. A steady, even burn allows the bud’s flavor nodes (and cannabinoids) to release freely into the clouds. Also, overpacking the coils or pushing down too hard on them may also damage the heating mechanism. This mammoth of a vaporizer is not for a vaping novice. While portable, and having twice the battery life than your typical vape, this thing is pretty big. So while this might not be the ideal vape to pack up and bring to the beach with you, it is worthy of bringing to a buddy's house and having a group smoke session. What’s great about the Mighty is its customization of temperatures. 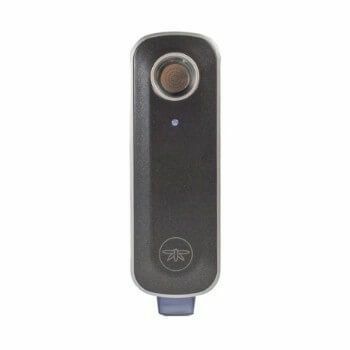 The easy-to-understand interface allows you to control the temp by merely tapping the up and down buttons.As soon as you press the power button, the vape will heat up to the temp you choose, which is signified on the large LED display. Once the vape is heated up, there is no need to push any buttons. All you need to do is inhale and go about your day. Also, the outside of this vape doesn't get too hot, so you can quickly pass it around without burning your mitts. Lastly, the Mighty is very user-friendly when it comes to packing your herb. Not only does it fit a little more flower than most vapes, but it comes with a heavy-duty grinder and a filling aid. The filling aid easily connects to the top of the Mighty, sparing you a flowery mess when you are trying to load up the chamber. A little touch like this goes a long way in making the Mighty stand out from other vapes on the market. The Vapir Prima Vaporizer is a reliable tool that is easy to use, portable, and a decent weight. To turn on, you hold the power button for three seconds. After the apparatus kicks on, there are four different heat settings that you can choose from. Click the button each time to choose a new setting. While there are four settings, they are marked by a range of temps, rather than exact temperature. 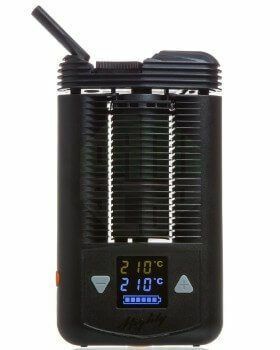 So, if you have an ideal temp that you want to hit each time consistently, then this is not the vaporizer for you. As far as packing herb into the Vapir Prima, the chamber goes pretty deep. If you were to pack it completely, it would be more than enough to satisfy five heads on a pen. With that being said, the herbs do tend to clog up the screen that filters the bud and converts it into smoke. However, this isn’t much of an issue because the Vapir Prima comes with a ton of cleaning accessories. Plus, almost everything detaches from the vape, making it easy to clean anyway. 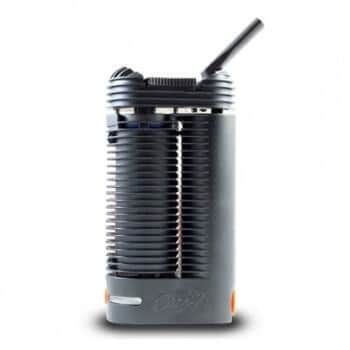 This vaporizer resembles its cousin, the Storz & Bickel Mighty. There are a ton of unique features that make the Crafty stand out from the pack. For one, it has the capability of smoking while you charge. As exciting as that is for the impatient-at-hearts out there, this vape is also compatible with an app called the Crafty Remote Control. It is on this app that you can set the exact temperature you want your herb, oils, or wax to heat up too. While this sort of customization sounds cutting edge, the Crafty Remote Control isn’t the most user-friendly app created, at times making it a challenge to sync up with your vaporizer. Lastly, the Crafty is one of the slowest vapes to heat up. After the red LED light turns green, the pen is up to temp and ready to puff. However, it can take upwards of 90 seconds for it to reach the desired number. Last is certainly not least here. This compact vape pen may not be the biggest on the block, nor hold the most herb. However, it does heat up the fastest and burns the herb off the most equal. Due to the chamber being so small, you are less likely to waste herb and is perfect for the smoker looking for a couple of quick hits. An excellent quality of the Firefly is its lit up, see-through chamber. Even in the dark, you can see how much product you have left in your pen. The Firefly 2 is also one of the most dab-friendly pens on the market. When you purchase the Firefly 2, it comes with three stainless steel mesh pads. These filter larger particles that form when your dab combusts. All you need to do is place the pad in the chamber, and the magnetic cover will secure it into place. To switch from herb to dabs, you need to use the mobile app and switch the settings over to "Concentrate." This will open the door to higher temperatures in your vape that make for smoking concentrates possible. Why spend money on a vape pen that you can only use to vape one thing? You need a 3-in-1 vape pen to get the full cannabis vaping experience! Have you used one before? Which one do you think is the best 3 in 1 vape pen?